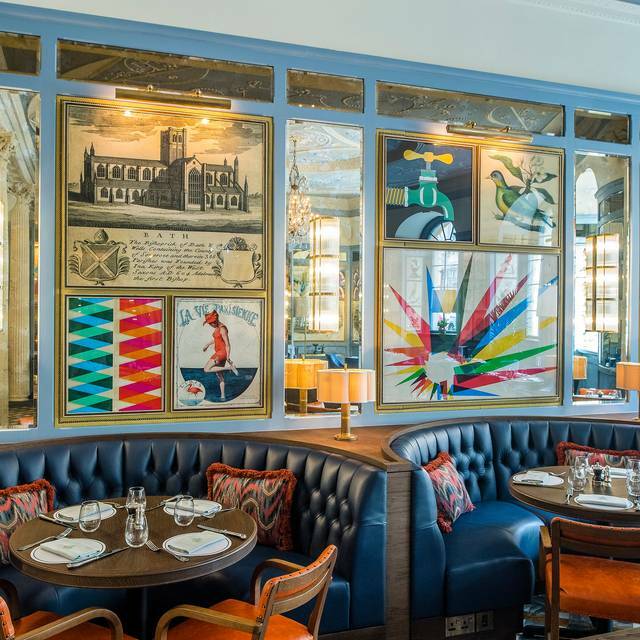 The Ivy Bath Brasserie on Milsom Street offers relaxed yet sophisticated all-day dining in historic Bath Spa. 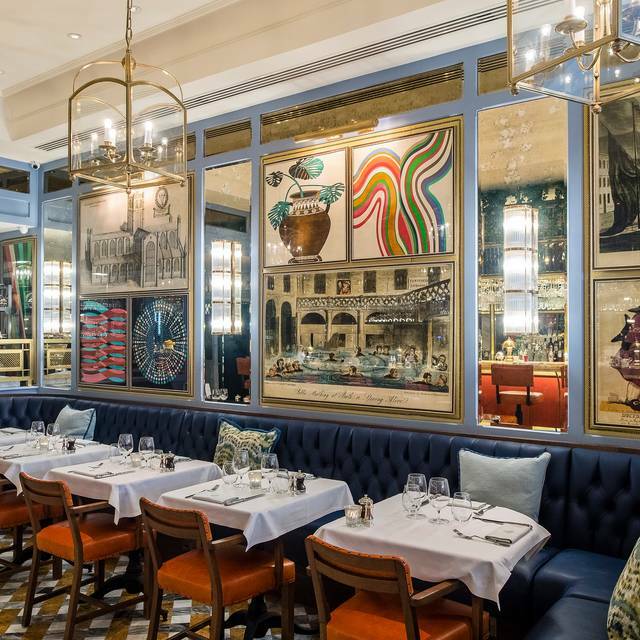 As with its sister sites, The Ivy Bath Brasserie serves all-encompassing, contemporary British menus for breakfast, weekend brunch, lunch, afternoon tea, and dinner. The restaurant is open seven days a week offering all-day dining to local businesses, residents and visitors alike. There is a roof terrace which is the perfect spot for al fresco dining from the a la carte menu. Please note that the terrace is non bookable so please just pop in. 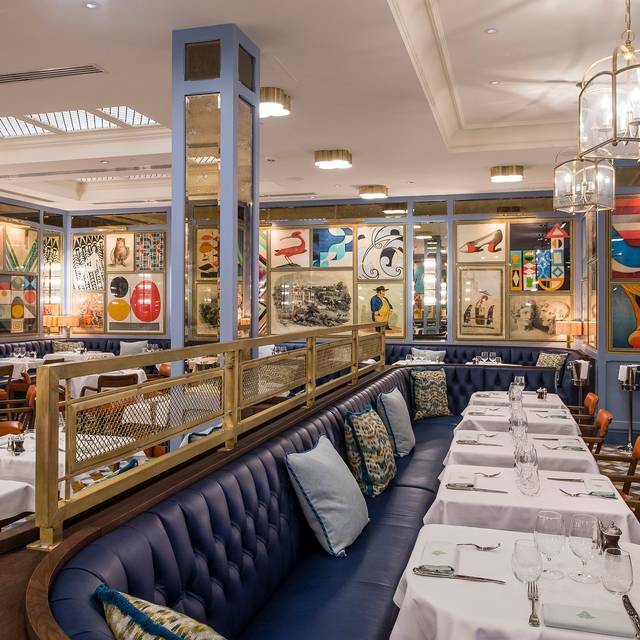 Hidden away on the first floor is The Baldwin Room; our private dining room. Seating 30 guests on one long table, or 40 on round tables of ten, the room is available for breakfast, lunch and dinner, as well as for drinks and canapés receptions for up to 70 guests. The room can be hired on its own or the whole first floor can be taken exclusively. We dine here regularly, and usually can’t fault it! It’s our favourite restaurant! However, Last night was dreadful. Incredibly slow service, my ‘pink tuna’ was dry and over cooked, my husbands steak was chewy and inedible. We would have returned both if we hadn’t have waited soooo long!!! Our glasses were dry a majority of the eve, and we had finished our cheese board before our partnering wine had even arrived. I sympathise with our waiter who was doing his best to rectify things but he was clearly over stretched. 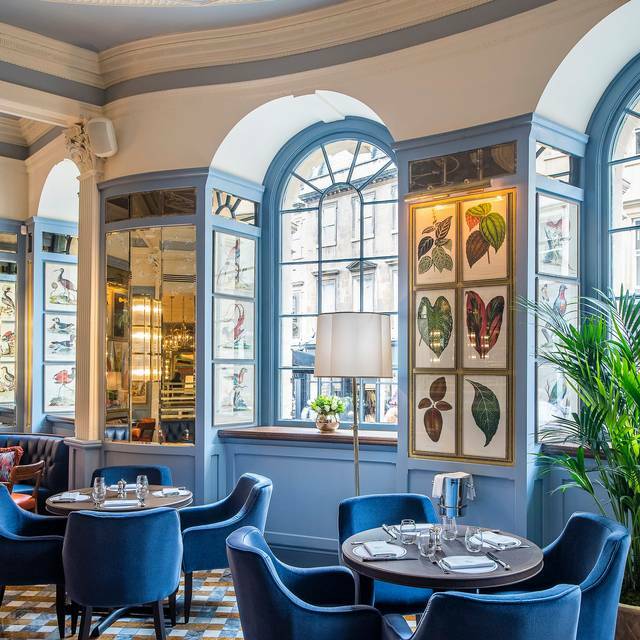 We will return as we have always raved about both the food and service, but last night, having guests with us (their first experience of The Ivy) was really really disappointing! Attractive dining room and sound food. Wide range of drinks, but few wines by the glass. Very busy and restaurant seemed understaffed, meaning well intentioned, friendly servers were overwhelmed, with a very long wait for every item. Allergy information needs attention. Enjoy a lively restaurant but this one combined too much noise with funereal paced service. After 140 minutes decided to leave without dessert or coffee! Very welcoming restaurant. The staff are all very friendly and helpful. The restaurant itself is lively very busy every time we go and it's a great atmosphere. The menu is varied with good choices to suit everyone and the prices are reasonable. The food itself is superb and beautifully served. Will be going back many more times. Lovely atmosphere, service was amazing couldn't do enough for us. Took my mum here for mother’s day with my sisters, didn’t actually go on mother’s day went a few sundays after. We were having afternoon tea, got put on a small 4seater table baring in mind we’d need space for the rack and 4 lots of teapots plates and cups and saucers etc. The staff were friendly polite and helpful. Good location with nice decor. The restaurant was very busy and slightly noisy but it did not impinge very often. Service was very good and friendly. A lovely place for both couples and also larger groups of friends. we arrived a little early but were quickly shown to seating at the bar and we enjoyed pre dinner drinks. The menu was varied and as fish lovers there was a great selection to choose from. I had the salmon and haddock fish cake with a side of chunky chips- delicious. My husband had the shrimp burger which he also loved. Service was great as I'd expect from The Ivy Brasserie. The service was poor and did not warrant the 12% automatically added for our group. The food whilst very pleasant (not "marvellous" or "fantastic") was VERY overpriced in relation to portion size and mostly the mains did not make a complete meal i.e. sides had to be purchased in addition to the main item. Wine also VERY over-priced. Really enjoyable, great food and lovely staff. Fantastic food and service once again in one of our favourite restaurants in Bath. 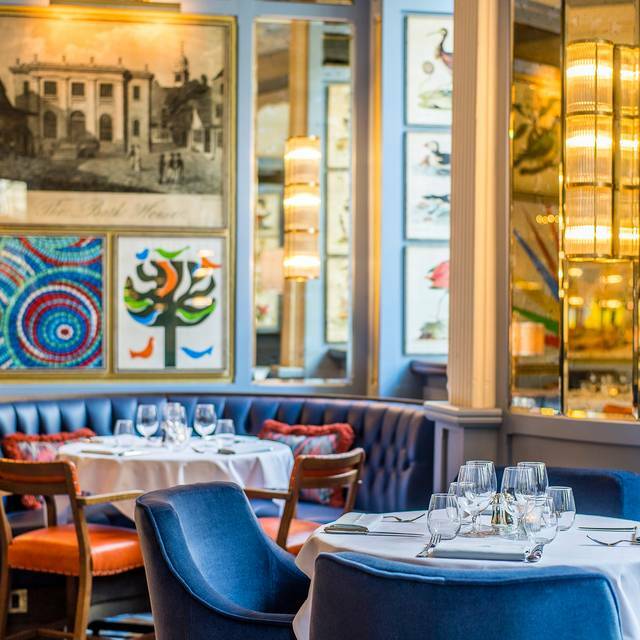 This was our first visit to The Ivy and we’ll definitely go again. We had brunch and both of us enjoyed our food, we shared the courgette nibbles with our aperitif, my husband had eggs Benedict and I had the HLT. Everything was freshly prepared and was plentiful. My only comment would be that sour dough bread makes great toast but can be tricky to cut through when top with haloumi and salad! Delicious truffles with our coffee was a good end to a very enjoyable brunch. I booked this restaurant for my mother's birthday lunch as I had heard good reviews from friends and read good reviews on Tripadvisor. Whilst the service was excellent and our server was very attentive, I must say I was extremely disappointed with the food. The zucchini fritti tasted as if it had been cooked in old oil and the flavour of the oil completely over powered the dish. The chips with the meals both looked and tasted as if they had been cooked, left to go cold and then re-fried to heat them through again as they were stale and hard. We also ordered a side of tender stem broccoli which was mushy, with no crunch and sat in a pool of water as if it had been microwaved and not drained. Having looked forward to this lunch, I was very upset at the quality of the food. Food and service was good. Menu was a weekend brunch menu which was slightly more casual than I wanted but the dishes were executed well and served promptly. I had to ask for the music to be turned down when I arrived as it was impossible to hear what my guest was saying from across the table, but the waiter did turn it down promptly to a reasonable level. The ambience of the room was good. Identical to all the other Ivy restaurants I’ve been in. Waiting staff were much friendlier than the ones I’ve found at Ivy Tower Bridge or Ivy City Garden who I’ve found to be uniformly surly, particularly on reception desk. The Bath staff were very welcoming and helpful throughout. My guest enjoyed the visit and based on the experience I would probably go back. Food was very good, the waiting staff were very organised and extremely friendly and very good with recommendations of food and drinks, sharing their favourites. Lovely food and great service. 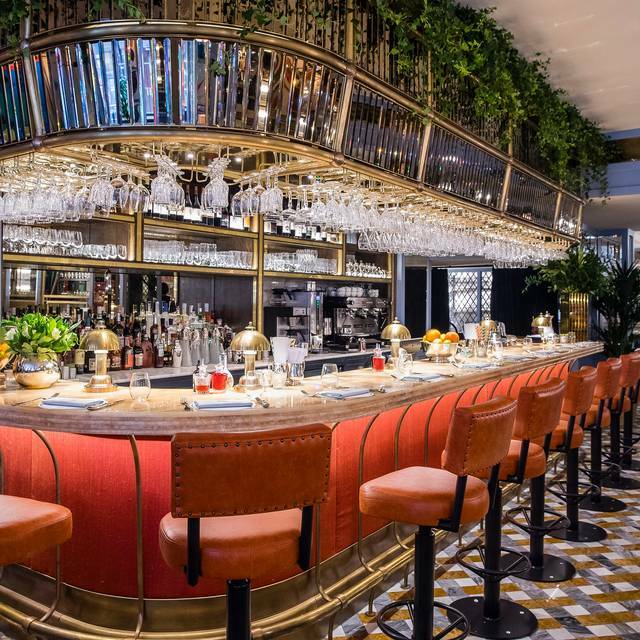 It was my daughters birthday, we have a good meal, the service was very good, we were seated near the back of the restaurant, it was so noisy we couldn’t talk very well, another time we would try and sit at the front, where we have sat many times before. If that was not possible, I would find another restaurant reluctantly. I pressed the wrong icon where it says noise level. Had a lovely lunch with a friend - the food and service were very good. Our waiter was friendly helpful and didn't 'hover' or rush us at all. It's a big space and was quiet noisy for a while when it got busy but not a problem. Amazing service! Would go back again, it was a great date night. Friendly staff and excellent service good food and very nice surroundings. 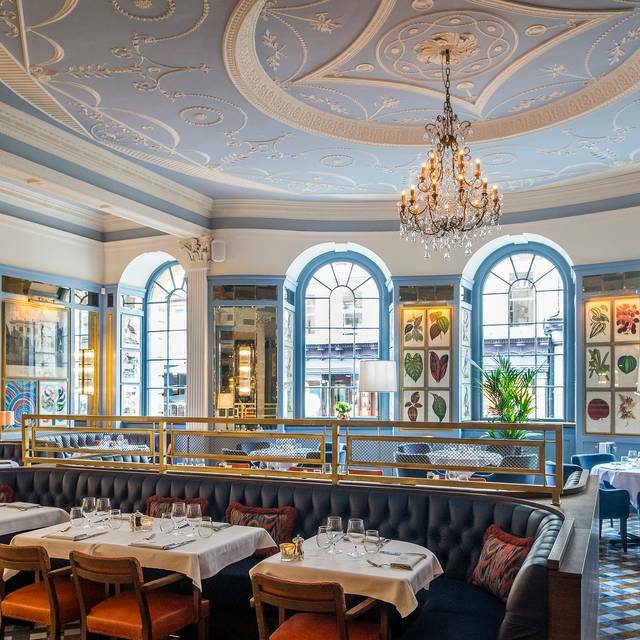 The Ivy in Bath is a great space for dining. The menu choice is very good and reasonably priced. Service is always very good. Atmosphere perfect for any celebration. Love the decor and delicious food to suit all tastes. Our 1st visit to The Ivy Brassiere Bath. Great atmosphere especially as it was a Wednesday evening. The food and service were spot on even though they were very busy. Our Spanish waiter gave us excellent attention during our visit so I am very happy to recommend but pre book to ensure a table. We had a really good lunch and will be back. Two points. The potato mash with the lamb was cold. The potato mash with the tuna was hot. The music was a little two loud, it sounded like two different cds. playing. I arrived 10 minutes early for 13.00 booking, my name was not recognised and it took 3 minutes before I was escorted into the restaurant. When in the middle of the dining area, the receptionist had to leave me standing as she did not know which table I was supposed to have. After I was sat no attention was paid to me, my guests arrived, and finally it was 13.20 that we were served a drink. Service was friendly but inefficient. Wonderful dinner with friends. Beautiful food and good service. An occasion with a hint of special. Wonderful setting. Good food. Service friendly but very slow. Visit The Ivy Bath as a birthday treat for a friend birthday everything was First Class. 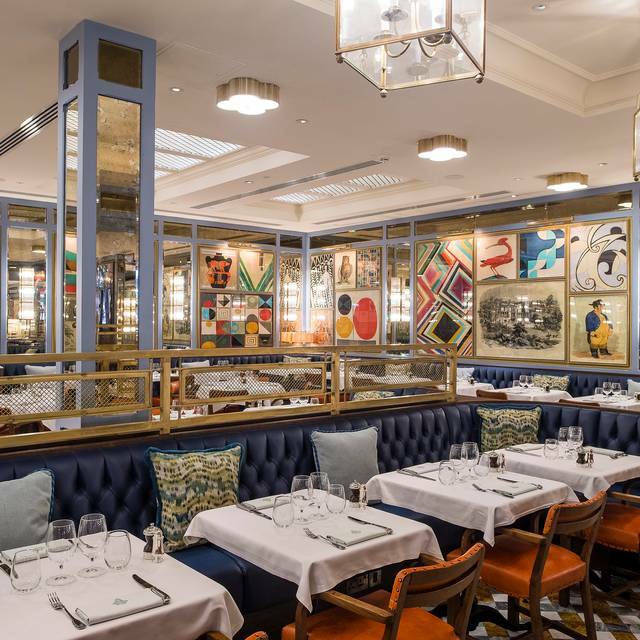 We have visited The Ivy Bath Brasserie on numerous occasions, however unfortunately this visit did not meet our expectations. My daughter ordered the tomato and basil soup served with peppers and olives and requested that it was served without these as she is allergic to peppers, our waitress said that this would not be a problem. However, 25 minutes later we were told that this was not possible so she chose something else. When our starters finally arrived it was obvious that ours had been ready for sometime while they sorted the soup out. The waiter brought out my other daughter's Truffle arancini which was DROPPED all over the table - hence yet another 10 minute wait while this mistake was rectified. A 45 minute wait for starters, when the restaurant wasn't very busy is not acceptable. When we received our bill the 12.5% service charge (£18.44) was still added when the service we received was definitely not of the standard that you would expect. I loved the ivy. The dining experience suited me perfectly. However my husband felt that we were given a little too much attention! Our food was great and the ambience was just right. Good value. Having booked a few weeks in advance and given a table for ‘two’ I wondered if you could specify a corner table that would give you more room? Excellent food and service - as usual! 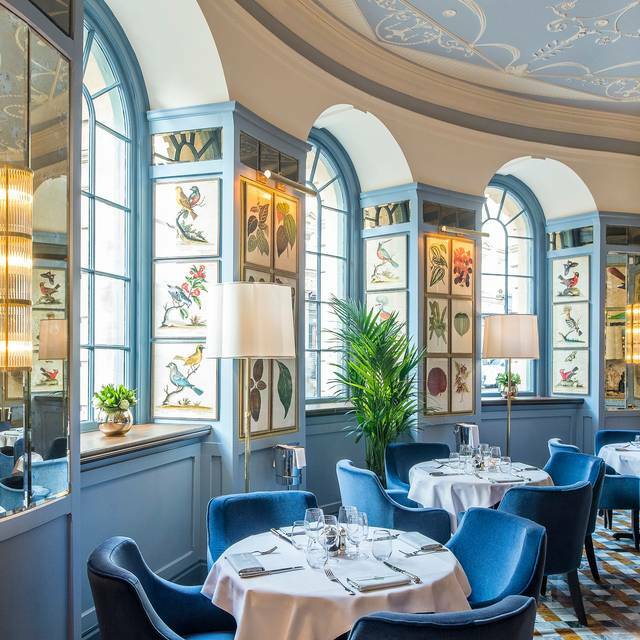 My wife and I always have our first evening meal at the Ivy every time we spend a night in Bath. We attended for three birthdays and I would highly recommend however we left a tip before paying then realised there was a service charge and was not refunded my tip as it was a high tip I ended up paying 16.48 for ‘tips’ which felt like I was paying for another person. Lovely experience, food and service excellent and beautiful restaurant. First time to Bath. Only negative point was that they didn't have any house prosecco available. There was an alternative offered but £2 per glass more expensive. Would have expected them to honour the house price but this wasn't offered. Me and my partner had an amazing time at The Ivy. Amazing food, excellent service and friendly staff. It was actually my birthday the day we went and the staff were very kind and even brought me over a birthday treat! Not overcrowded or noisy, very relaxed and classy. Would highly recommend to book a table if your in Bath! I would definitely go again!